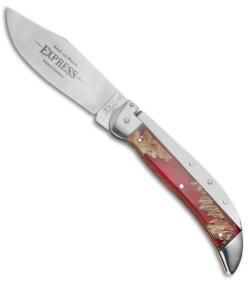 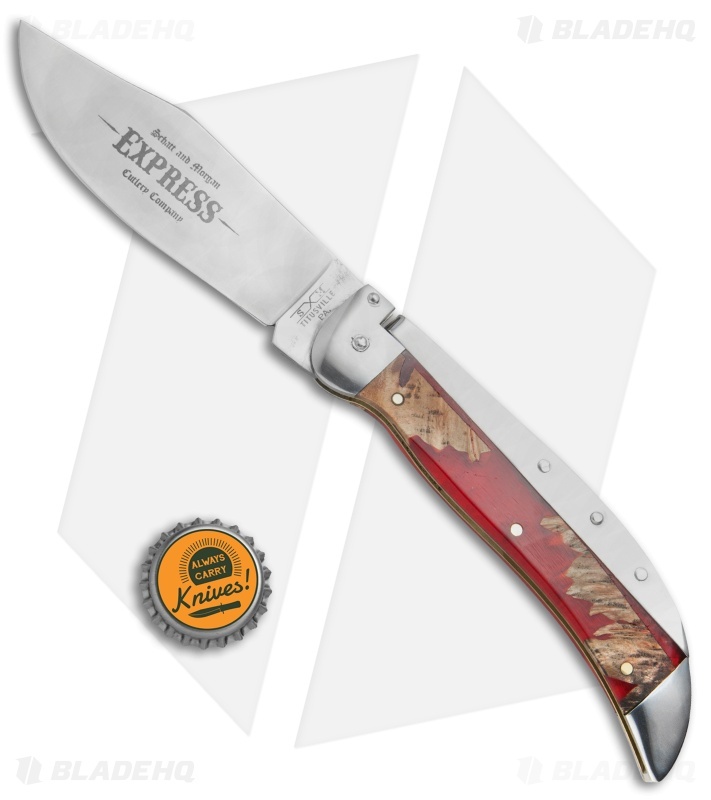 This Schatt & Morgan #71 Express automatic knife comes fitted with Red Shock Wood scales. 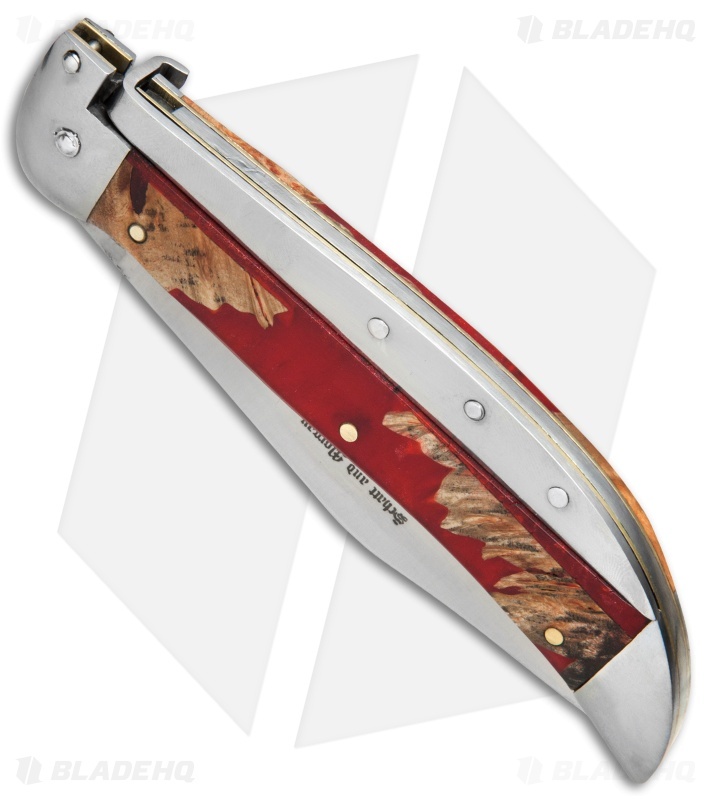 Here's a knife that is stunningly unique and beautifully crafted. 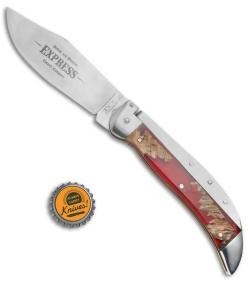 While it isn't a knife you would carry daily, it makes an impressive collection piece. The Schatt & Morgan Express automatic knife from Queen Cutlery features a large clip point blade made from 1095 carbon steel with a flat grind and satin finish. It's built with a unique locking mechanism that doubles as a button for quick automatic blade deployment. 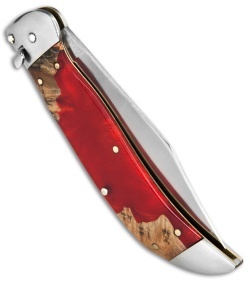 These knives are available with a variety of handle scales paired with nickel silver bolsters over polished brass liners. 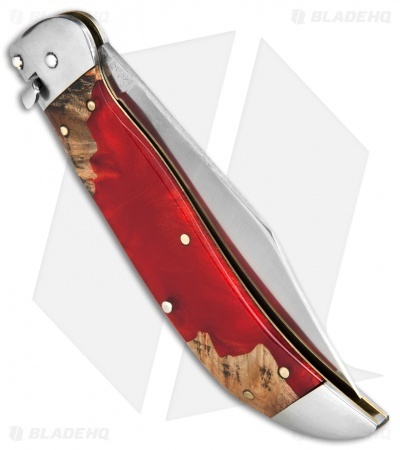 Experience handmade quality that pays tribute to the American made switchblades from the early twentieth century.